For the first Thanksgiving that I lived in Indiana, a friend made persimmon pudding for us. I had never heard of persimmons before, but immediately fell in love with the moist, fruity dessert. Persimmons are native to Indiana. Last year a friend let us pick some from her tree and I found myself imagining pioneer times and the women picking up persimmons to feed their families. 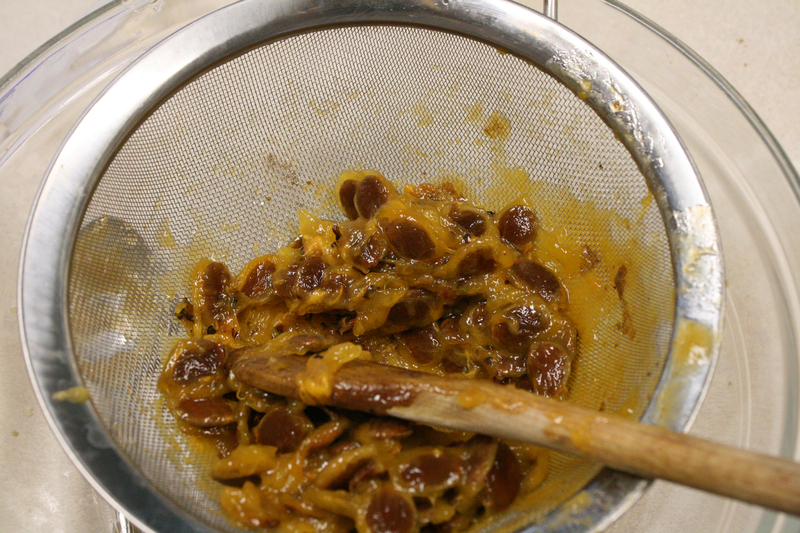 Once I got my persimmons home, I rinsed them off and threw them, skin and all, into a sieve. I pushed them around the sieve until most of the yellow flesh fell through and only the brown seeds were left. 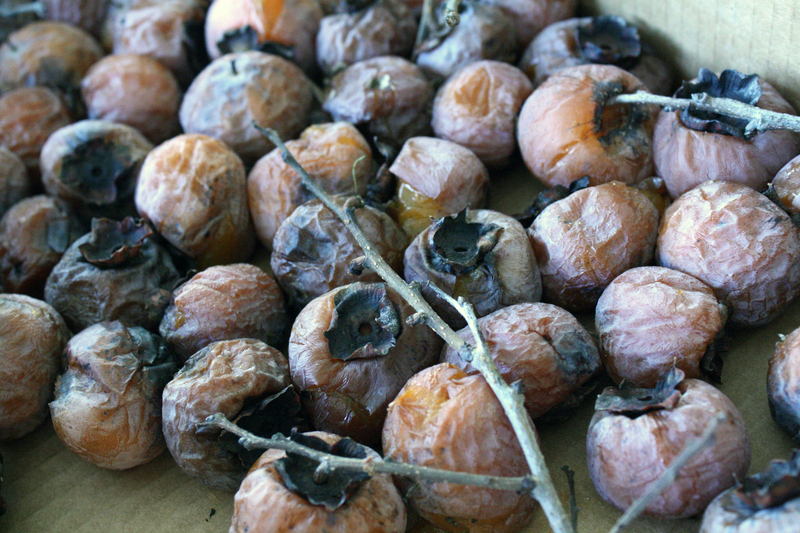 If you don't have a source of fresh persimmons and you live in the Midwest, you can check the grocery store frozen section for persimmon pulp, or your local orchard store. I even came across a sign in the front yard of a house in my area advertising persimmon pulp. Persimmon cake is just a bit more sophisticated than persimmon pudding and perfect for the holiday season. Don't be surprised if your cake sinks a little. That's just characteristic of cooking with persimmons. Preheat oven to 350 degrees. Grease and flour two 9-inch round cake pans. In small bowl combine flour, baking soda, salt, cinnamon, nutmeg and cloves. 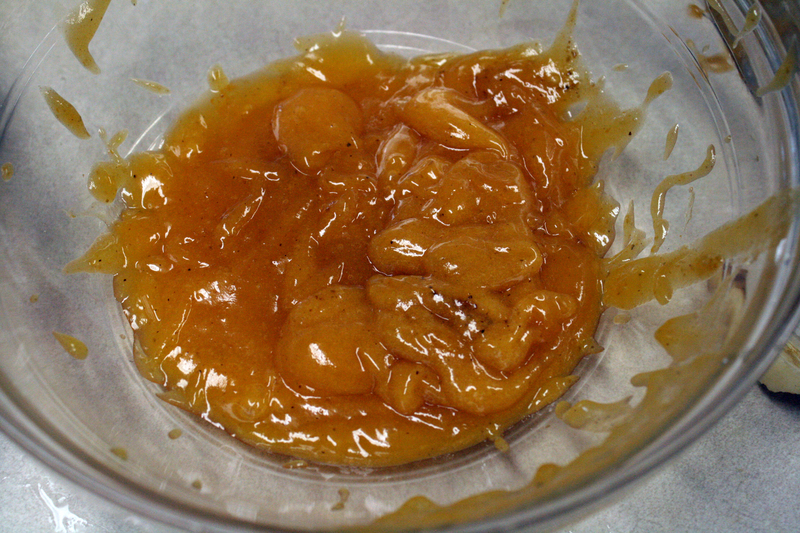 In large mixer bowl, combine eggs, sugars and vanilla; beat until smooth. With mixer at slow speed, gradually add oil in steady stream. Add flour mixture and beat until just blended. Fold in persimmon pulp and nuts. Spoon into prepared pans and bake 40-45 minutes, until toothpick inserted in center comes out clean. Cool 10 minutes in pans; invert onto wire racks. This cake is delicious frosted with cream cheese icing made with 1 (8 ounce) package cream cheese, 1/4 cup butter, 1 teaspoon vanilla extract, 1/2 teaspoon grated orange peel and 3 cups confectioners' sugar. Beat until light and fluffy and garnish with 1/2 cup finely chopped black walnuts. This cake is even better after it is aged for a couple of days. NOTES: I baked my cake in a bundt pan -- just one layer, but thick. I also just served it with plenty of whipped cream rather than making icing. 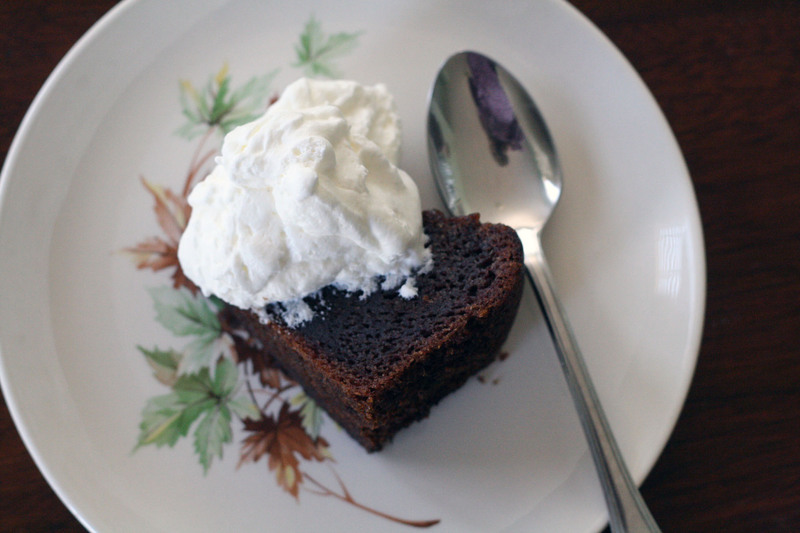 Do you have a persimmon pudding recipe? My father's family moved west from Indiana when he was quite small, and when the family came to visit in Colorado they brought a crock of persimmon pudding. He still identifies this with wonderful memories of Indiana and family and I'd like to make it for him sometime. Below are two recipes I have in my persimmon collection. I can't remember which one I made (!!) but I'm guessing it might be the first one.